Home » 400. TECH » 420. NuclearTech » #NUCLEAR #ALERT #HANFORD | #ToxicGas causes “various symptoms”, 20 seek medical attention. 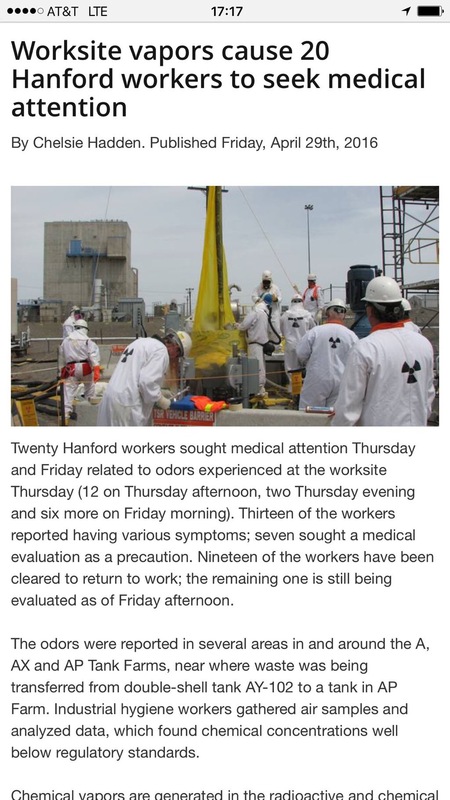 #NUCLEAR #ALERT #HANFORD | #ToxicGas causes “various symptoms”, 20 seek medical attention.